← Iliana in the News! It is always exciting when a painting we have only seen on a computer screen arrives at the studio. 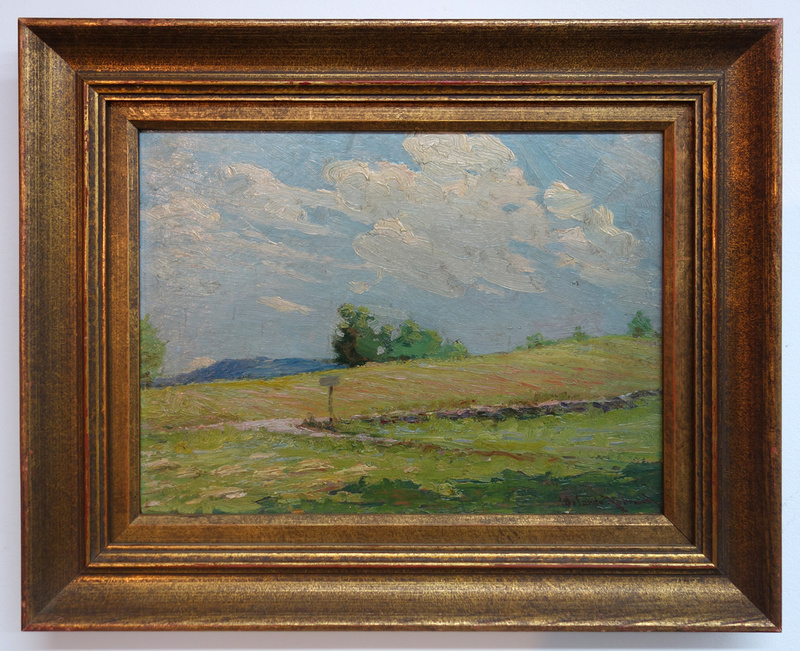 Today we received a fine oil sketch by Orlando Rouland, which we recently acquired from Leland Little Auctions in Hillsborough, North Carolina, on behalf of our client . On unpacking we found a beautiful, vigorously painted oil on board with a heavy layer of grime and an unflattering frame. First we took photos then we removed the painting from its frame. 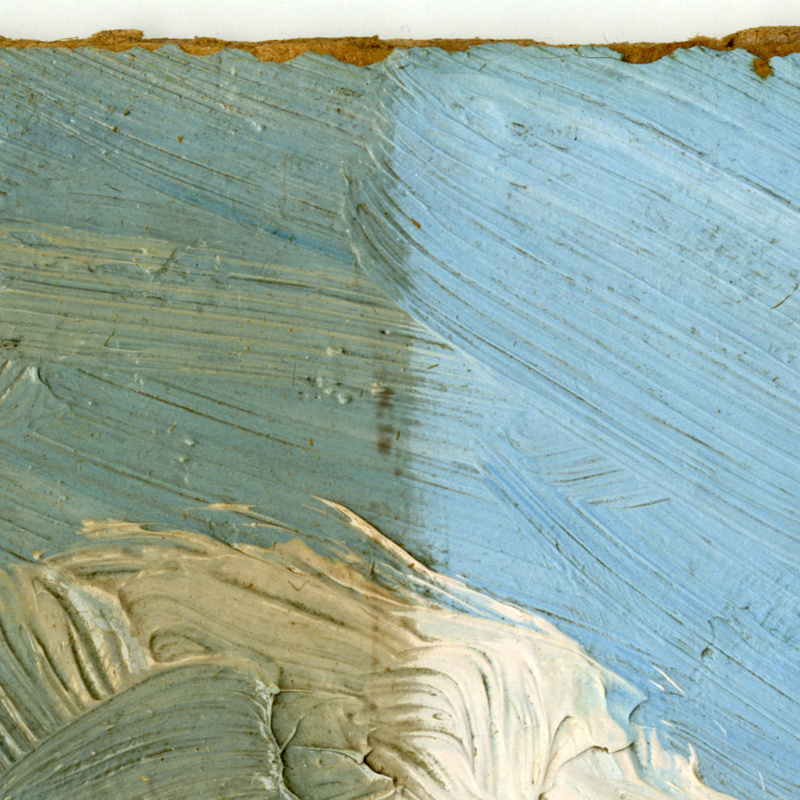 We could see a thick, glossy and somewhat yellow varnish that dissolved with a mix of solvents. With the varnish off we found a layer of dark grime, leaving us to wonder for the millionth time why someone would varnish a painting without cleaning it first. Happily we had good results with a mixture of Vulpex, solvents and water, as seen here. Based on this test cleaning we know that the warm summer sunlight Rouland captured in this painting will be shining again when we finish our treatment. Here is a close-up of the test area, showing the well-preserved impasto texture that helps make this little painting so effective.